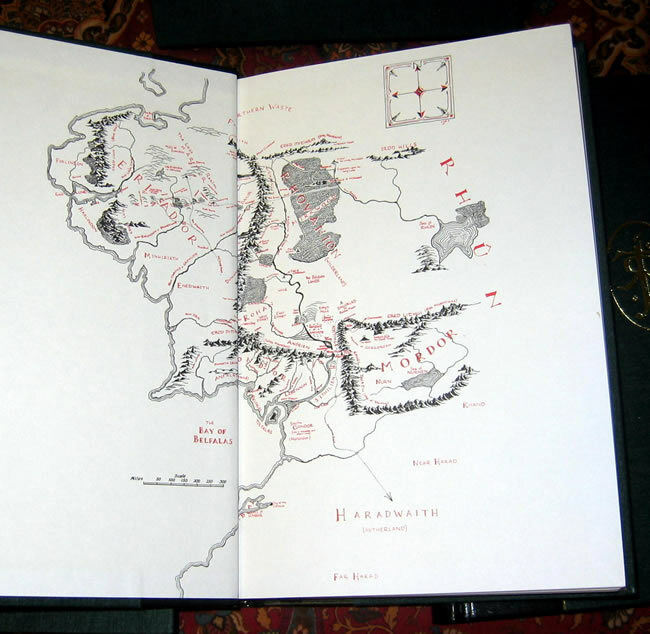 each one numbered and signed by the artist. 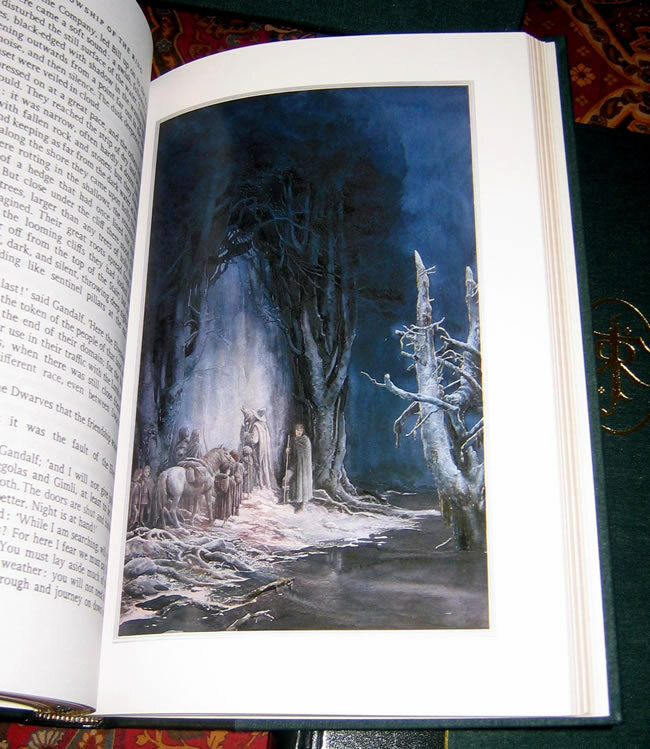 This copy number 54/250, Alan Lee"
A beautiful set quarter bound in dark green leather and cloth with the JRRT monogram on the front boards of the books and the original publishers slipcase. 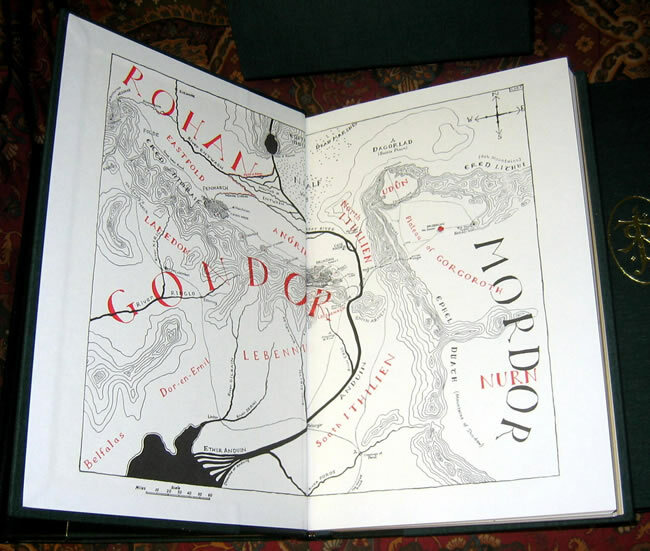 Each book has gilded edges, ribbon marker bound in, and signed limitation page. 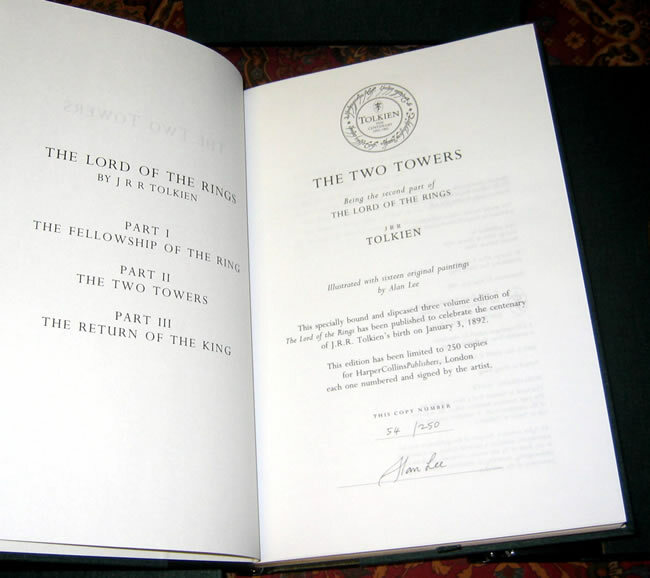 This set has a small rub to the leather on the spine fold of the Two Towers, otherwise Near Fine. 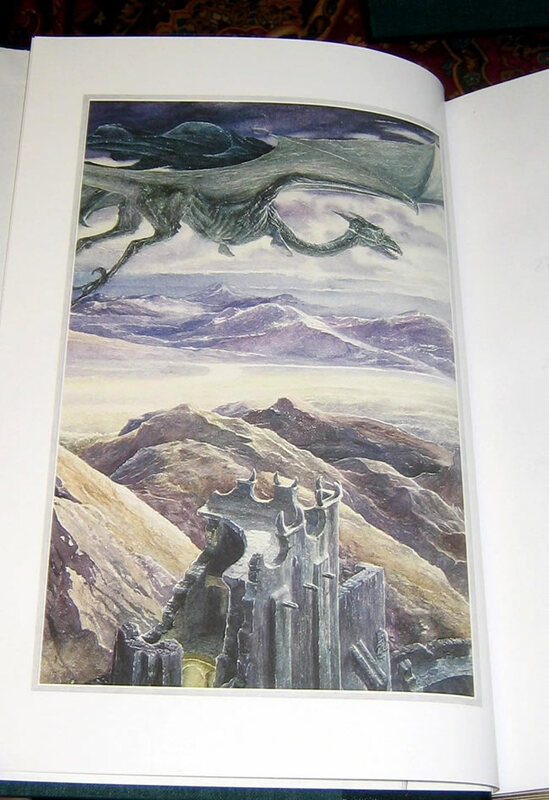 Fifty original illustrations by Alan Lee thru the 3 books. 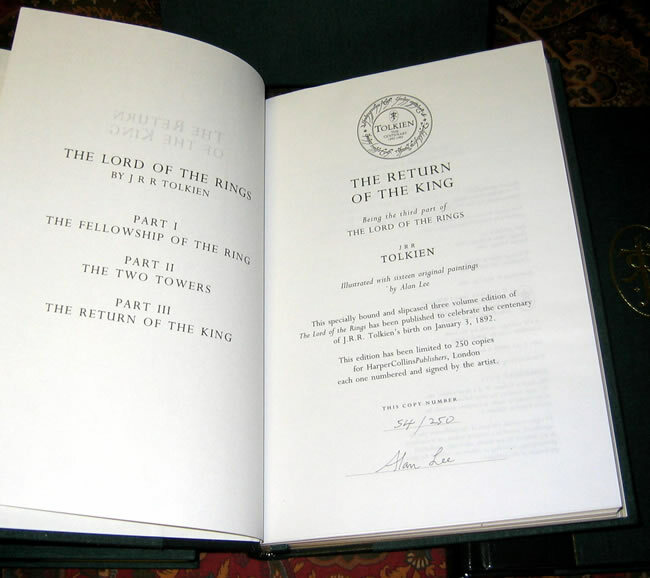 An exceptional set of books, again one of only 250 produced world wide. 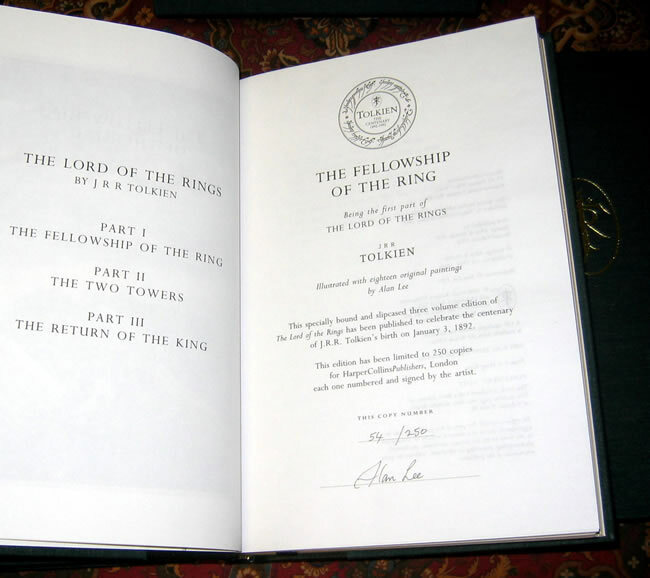 This separate three book set, makes handling and viewing much less of a problem then the Limited single volume editions that were large and awkward to handle.